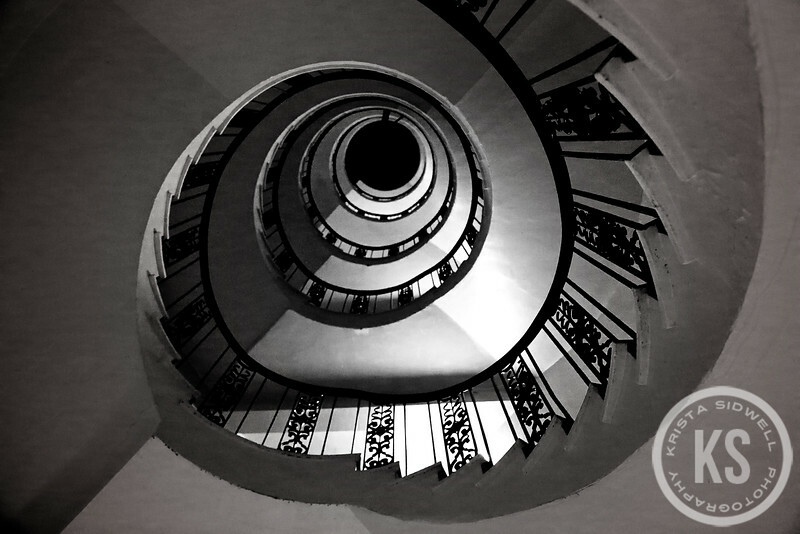 I love what spirals symbolize and visually present--winding or circling around a central point. . .getting closer to or farther away from it. A sort of intimacy tug-of-war. Entangling and untangling. Coiling and freeing. The power of distance and proximity. Around and around and around. It's all about perspective. Very Escherian.